"Afro-Cuban and American soul fuse with chiming, hypnotic guitars and loose and spacey savannah funk on these vintage sounds from one of Africa’s least known musical territories." 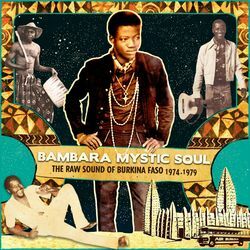 Analog Africa are pleased to announce their 10th release, the compilation “Bambara Mystic Soul - The Raw Sound of Burkina Faso 1974 – 1979”. Unlike music from neighbouring giants such as Nigeria, hardly any music produced in Burkina Faso has made a notable international impact so far. 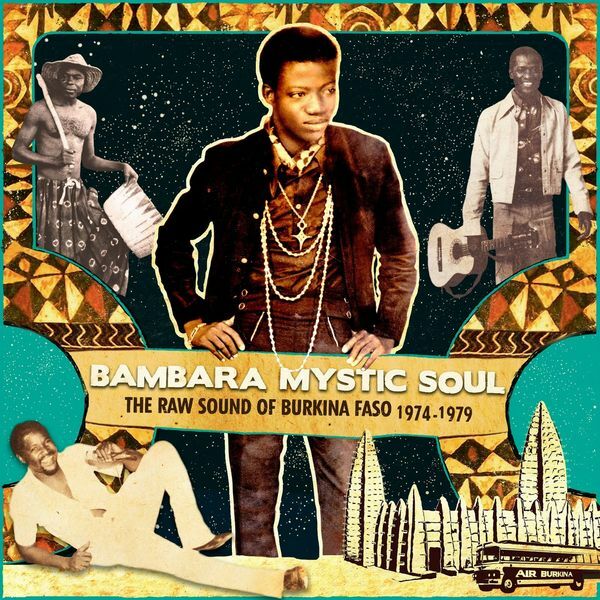 This might be Analog Africa's venture into possibly the most obscure of African sounds thus far, but these sounds of the golden age of Burkinabè music deserve to be heard and the varying styles that came to define the era are covered in this 16-track release. For its 10th release, Analog Africa explores Burkina Faso, one of the jewels of the Sahel, a harsh and arid strip that straddles the southern Sahara, stretching from Dakar in the west to Djibouti in the east. Formerly known as Haute Volta (Republic of Upper Volta), Burkina Faso's sound was organized and nurtured during the country's time as part of a vast patchwork making up French colonial West Africa. The rise of a post-independence urban middle class willing to invest in the Burkinabè arts spawned a cadre of singers, bands, orchestras and, most importantly, competitive record labels who all played their part in ushering in a golden age of music in their landlocked nation during the 1970s - a decade marred by political instability in the country and an era of artistic enlightenment empowering the whole of Africa. The Sahelian climate fortunately bore no influence on the Burkinabè sound, which is cosmopolitan as it was raw. West Africa was and continues to remain deeply interconnected. In search of better gigs, well-to-do producers and sufficient recording equipment, Burkinabè musicians ventured across the surrounding region, returning home with a wealth of knowledge of their neighbours' distinctive styles. By the mid 70s, Ouagadougou had become a hotbed for African music, filled with touring bands, gifted instrumentalists and hypnotic vocalists. Talent was abound, to say the least. Bamogo Jean Claube, the founder of Afro-Soul System, went from being a "musician's tailor" to a celebrated singer. Ballaké himself jumped from job to job before being recognized for his graceful voice. While it might be Analog Africa's venture into possibly the most obscure of African sounds thus far, the sounds of the golden age of Burkinabè music deserve to be heard and the varying styles that came to define the era are completely covered in this 16-track release. Analog Africa was set up by Samy Ben Redjeb to release African music from the 70s, music with a certain twist that will surprise you or that you didn’t expect to hear from Africa, and that often had a strong impact on its country of origin. Frequently these recordings - all fully licensed – were never released outside of Africa before. Considerable importance is also placed on detailed liners notes telling unusual stories about unusual musicians, complete with rare photographs, interviews and full discographies. 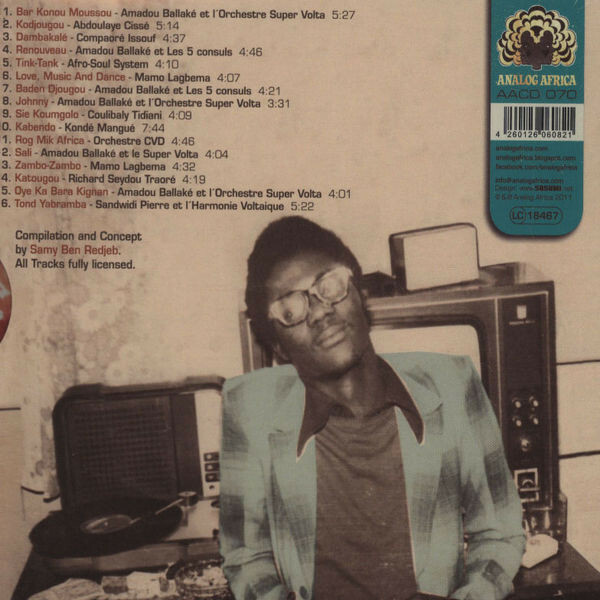 In addition to releasing African compilations, Analog Africa has also ventured into 70s tropical music with a release by Colombia's Anibal Velasquez, and the label recently launched a new series called "Analog Africa - Limited Dance Edition", the objective of which is to release African and tropical records in strictly limited editions which concentrate on single artists's releases. The first release in the series was the first ever LP of Orchestre Poly-Rythmo, one of the best Beninese Afrobeat recordings from 1973. 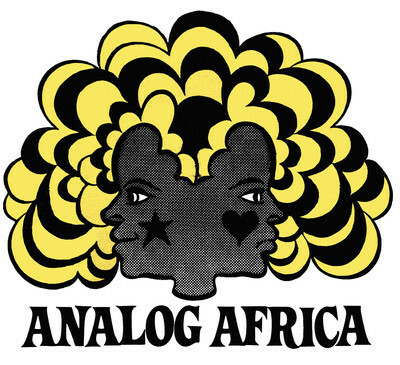 In fact Analog Africa has played a pivitol role in resurrecting the force that is Orchestre Poly-Rythmo de Cotonou, as well as having successfully organized the first ever European tours for Anibal Velasquez and Ghana's Ebo Taylor. - German Record Critics’ Prize 2011 Winner - "Angola Soundtrack: The Unique Sound of Luanda 1968-1976"
- Red Dot Designer Award 2008 Winner - "African Scream Contest: Raw & Psychedelic Afro Sounds from Benin & Togo 70s"
- European Design "Silver" Award 2010 Winner - "Legends of Benin"
Analog Africa is distributed in the UK by Proper Music Distribution (vinyl also distributed by F-Minor).